Performance parts for 49cc, 50cc 90cc, 125cc, 150cc and 250cc 2-stroke and 4-stroke Full-Size Street Legal Scooters. 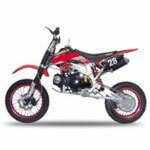 Performance Parts and After-Market Accessories for Dirt Bikes and Pit Bikes. 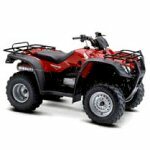 Performance parts and accessories for 50cc, 110cc, 150cc and 250cc Chinese made ATVs and Quads. Commonly found under brand names such as Kazuma, Roketa, Terminator, Sunl, United Motors, Redcat, Tank, Boreem, Eton, Qingqi, Jackel and many more. 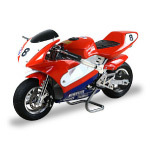 Performance parts for 2-stroke pocket bikes, mid-bikes and 4-stroke super pocket bikes. 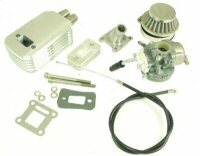 Complete selection of performance engine parts for mini 43cc and 49cc 2-stroke engines. Variety of 2-stroke and 4-stroke performance parts sorted by type. Performance head kits, air filters, exhausts, sprockets and much more.